Amy Grimes is the owner and founded Gymnastics Etc. in 1999. She is married to Roger Grimes and has two young children. Amy is a graduate of Colorado State University (CSU) with a Bachelor of Science in Human Development. As a child, I loved the sport of gymnastics. Overall it taught me that through hard work and lots of practice I was able to accomplish my own personal goals. I enjoy teaching students gymnastics because of the life skills they learn. What's also very important to me is creating FUN memories in the gym where each student can learn, grow, and feel successful in the gym. I am CPR and USAG safety certified. Amy has an extensive gymnastics background that includes, USGF State competitor, training with world renowned Bela Karolyi. Amy received most of her coaching, training, and working for a leader in the gymnastics industry, Jeff Lula. 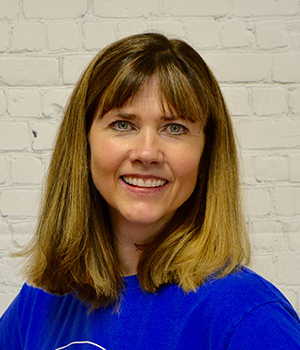 Since 1999, Amy has been coaching and leading her own students, both in recreational and competitive programs.